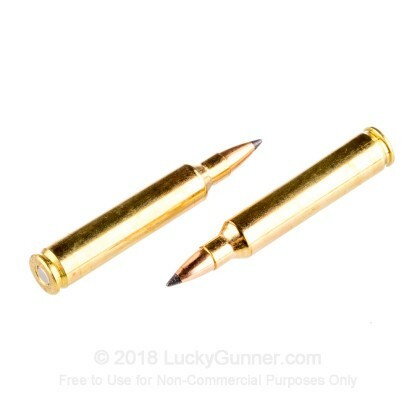 Based off of the 222 Remington Magnum, the 204 Ruger is an incredibly fast, low recoil, highly reliable round, great for range training, match shooting, and hunting, especially varmint hunting. 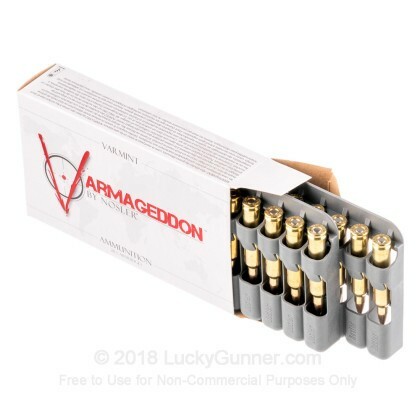 Developed in 2004, this fairly new round is everything you need to get rid of your varmint problem or have a blast doing pretty much anything else with its fun, easy going, low recoil. 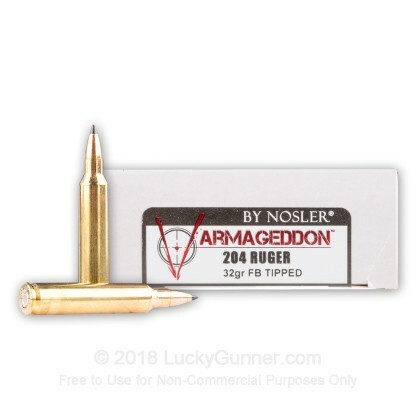 Nosler is the top of the ammunition world, creating top of the line ammunition that other companies attempt to emulate. 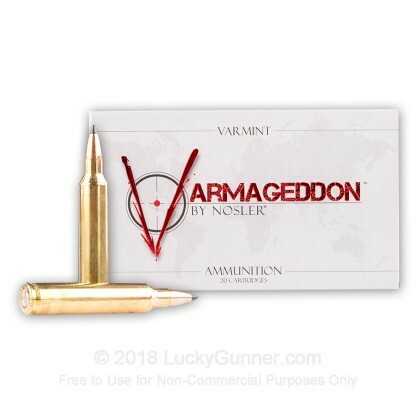 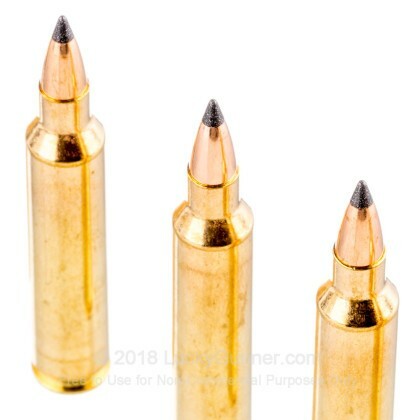 With these incredible Nosler Varmageddon, 32 grain, polymer tip rounds, you have the speed, massive terminal expansion, and accuracy you need to exterminate the varmints around your home. 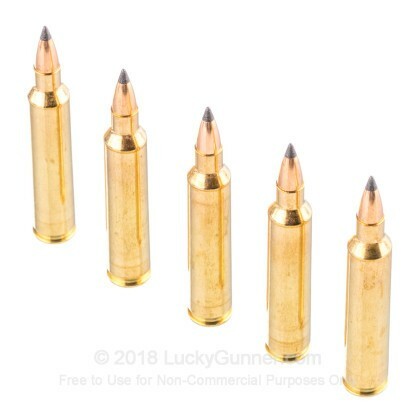 Firing at 4000 feet per second, these boxer primed, brass cased, reloadable rounds will perform beyond your wildest dreams.